After years of casually blogging about my knitting adventures (and some of Emily's baking adventures), I've started a new chapter of the Flours and Fibers story. I now have some knitting patterns available for sale on both Ravelry and Etsy. Both stores offer instant download of the PDF patterns, although Ravelry has the added bonus of adding the pattern to your Ravelry Library. The patterns currently available are the previously mentioned Dragonfly Lace Dishcloth and the Sweetheart Trivet. Both of these patterns were developed to be used in my knitting classes at Knit & Knot. 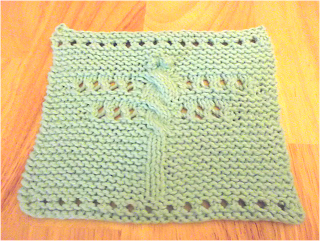 The Sweetheart Trivet utilizes the technique of double knitting to create a thick trivet or hotpad. I used Bartlettyarns, worsted weight, in Peach Heather and Oatmeal for the sample. The colorwork in double knitting is reversed on opposite sides. 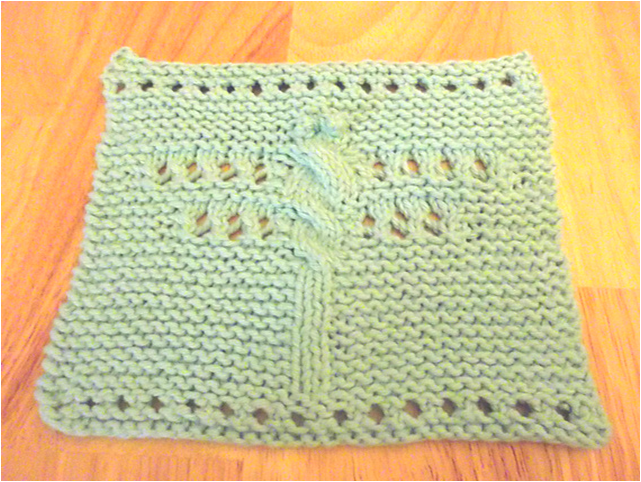 The Dragonfly Lace Dishcloth sample was knit in Peaches and Cream Cotton (worsted) in Bright Aqua. In addition to the patterns for sale, I also have a very beginner pattern available for free download, Roll Brim Hat - Intro to Knitting. The updates also extend to this site. Links to the patterns discussed above can be found on the sidebar to the right. I will continue to update the sidebar as additional patterns become available. I also added a Classes page to the site. Here you can see a calendar with all of my currently planned classes. I usually teach at least two classes a month at Knit & Knot. 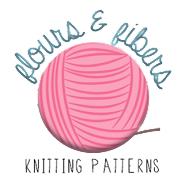 And finally, you can now reach this site by typing www.floursandfibers.com as well as the old BlogSpot address. We are growing up! !